"One Wish" Beautiful details - sometimes it's the little things we overlook. 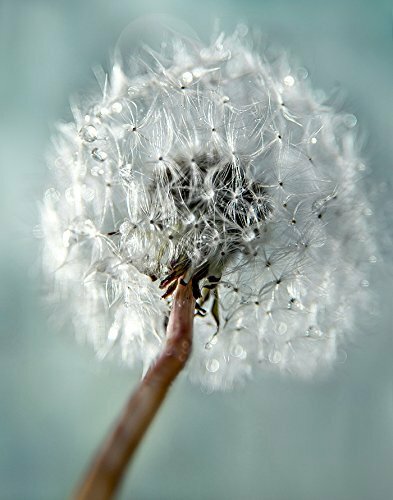 Beautiful 11"x14" dandelion print in teal colors ready to place in an 11"x14" frame- would be perfect for a bathroom or hallway display. ➽ PHOTOGRAPHS (unframed) are created on premium, archival paper with a luster finish ready to hang in an 11"x14" frame or mat to 16"x20" size. ➽ Please see other listings for larger sizes and materials such as Canvas, Wood Photo Planks. ➽➽ ➽ PLEASE NOTE: . For framing options please visit my main storefront at Amazon Handmade by clicking on the top left of this page on "Photo Artistry"